Reach out to Gail with your order inquiry by using the project form. Gail will contact you promptly to discuss your project and review your images. After agreeing on size and pricing, Gail will send you an invoice for a deposit. Small - 11" x 14"
Perfect for a close-up of a face. 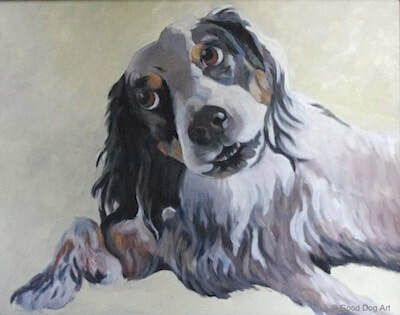 Medium 1 - 16" x 20"
Perfect for a full image of a small dog or head portrait of a larger breed. Medium 2 - 20" x 24"
Enough room for a second pet. 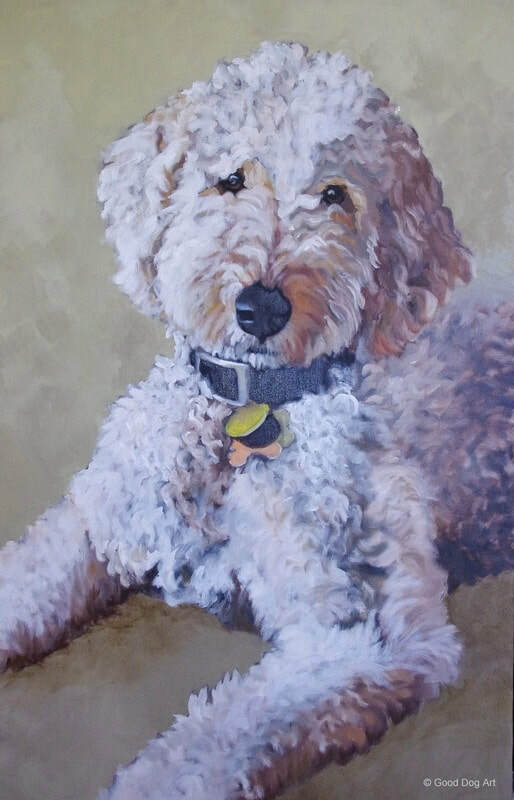 Gail's favorite size - creates a focal point in a room and is perfect for an additional dog. * More than one pet in your image? Simply add $50.00 for each additional pet. 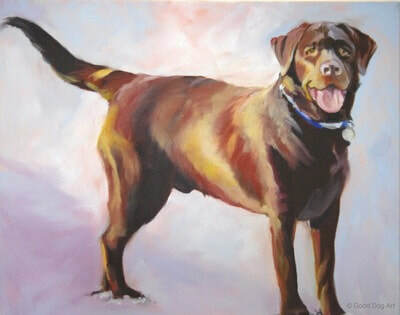 ** Gail may suggest custom sizes based on what will create the best painting composition possible. Custom size pricing will be discussed. - Tax will be collected for delivery in the state of Ohio. - Shipping is not included in the price. Your zip code will allow us to estimate the shipping cost. - Delivery is usually 6-8 weeks, but will be confirmed prior to the deposit. - No work on the painting will start until a deposit is received. - Listed pricing is subject to change until a deposit is paid. 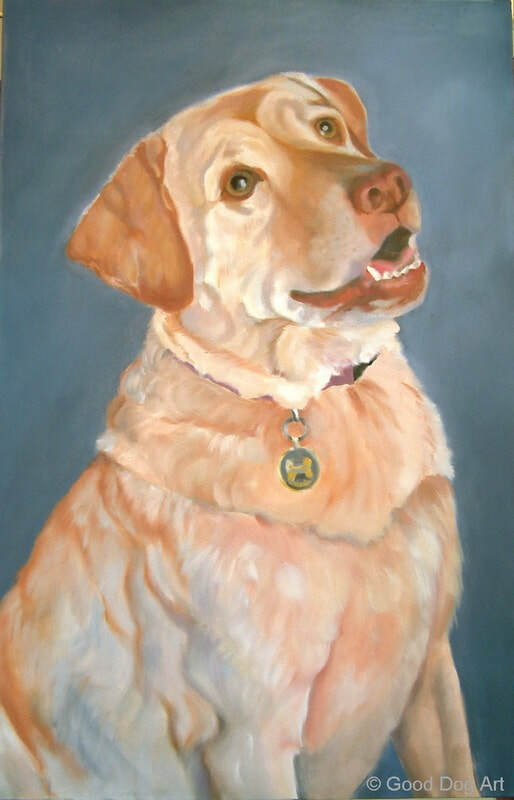 - Your pet’s portrait may be used by Good Dog Art for portfolio purposes. - Good Dog Art / Gail Kelley Designs retain copyright on all artwork that Gail Kelley creates.